As mentioned by Emily in her August HE Policy post, a draft concordat has been published which seeks to make research data in the UK more openly accessible for use. The concordat has been drafted under the auspices of the UK Open Research Data Forum [Note 1] by a multi-stakeholder working group, which includes HEFCE, Research Councils UK (RCUK), Jisc, the Wellcome Trust and Universities UK. It aims to help ensure that the research data gathered and generated by members of the UK research community is made openly available for use by others wherever possible, in a manner consistent with relevant legal, ethical and regulatory frameworks and norms. The concordat aims to establish a set of expectations of good practice, with the intention of making open research data the standard for publicly funded research over the long term. It recognises the different responsibilities of researchers, their employers and the funders of research, although the intention is not to mandate, codify or require specific activities. Data must be curated so that they are accessible, discoverable and useable. 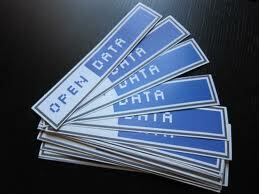 Regular reviews of progress towards open access to research data should be undertaken.